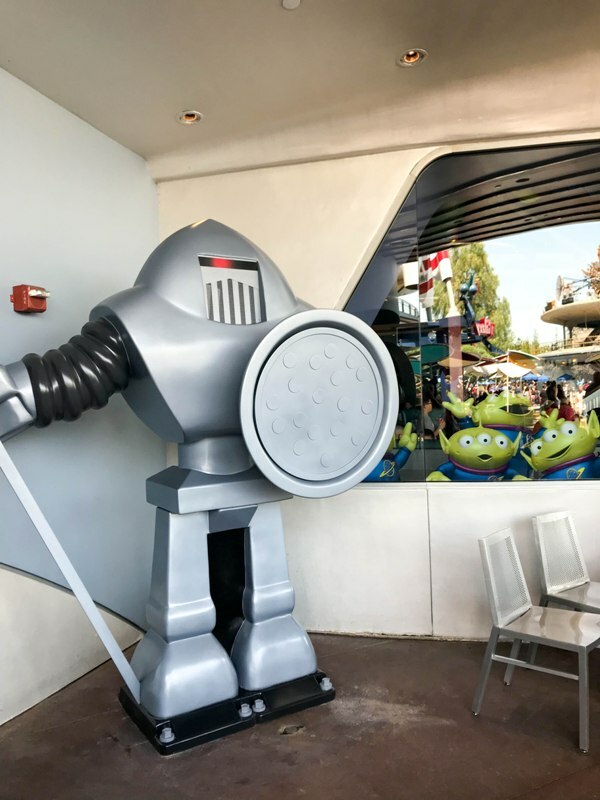 This summer, Disneyland has Pixar mania! 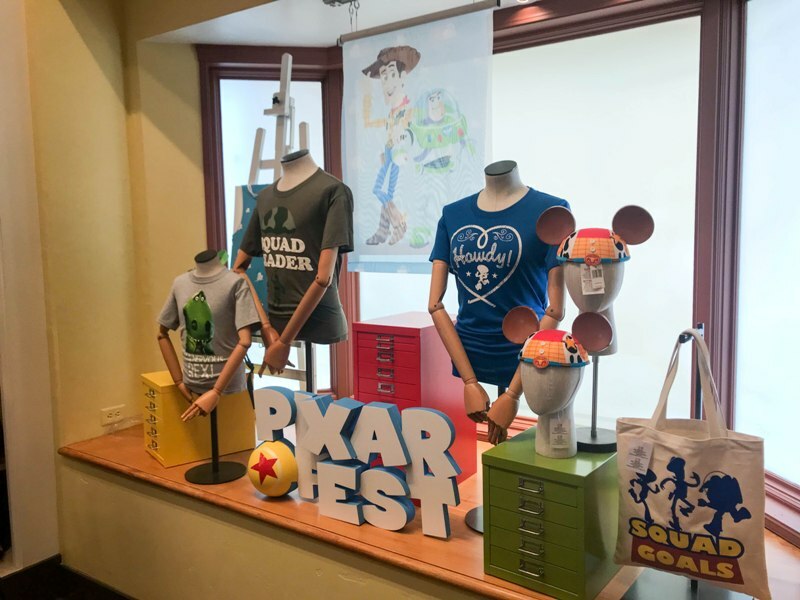 The Disneyland Resort is celebrating all things Pixar during Pixar Fest – which features special entertainment, character meet and greets, merchandise, and of course, food. 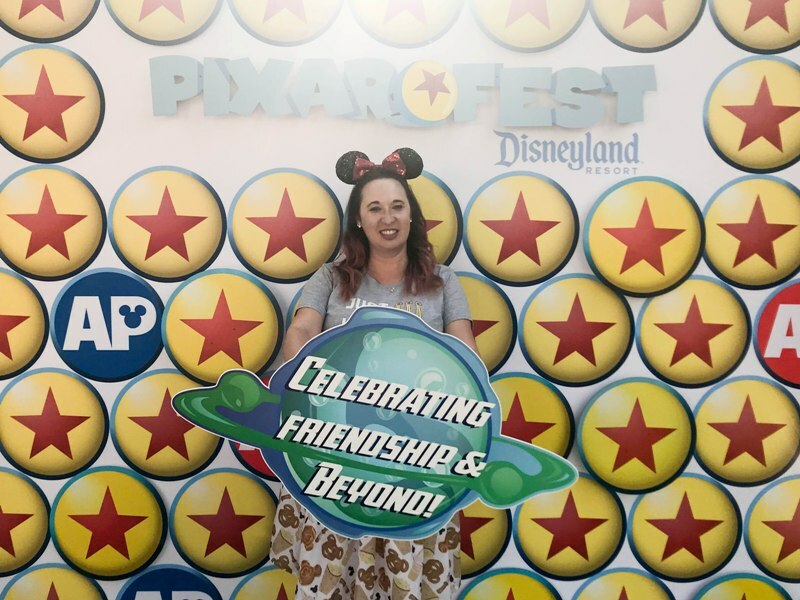 I checked things out on Day 1 and I’m happy to report I had a great time! 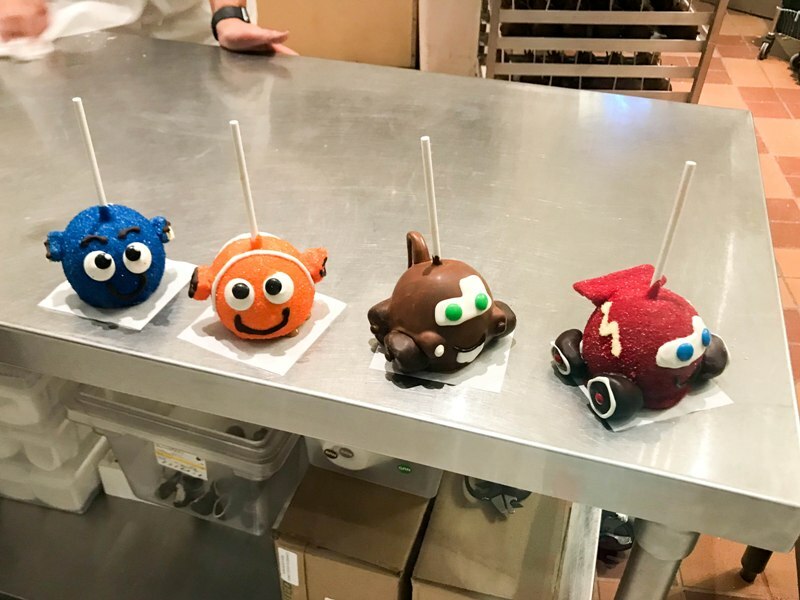 I tried a few snacks and took a few pictures, and I’m sharing with you my best advice for making the most of your Pixar-filled day. 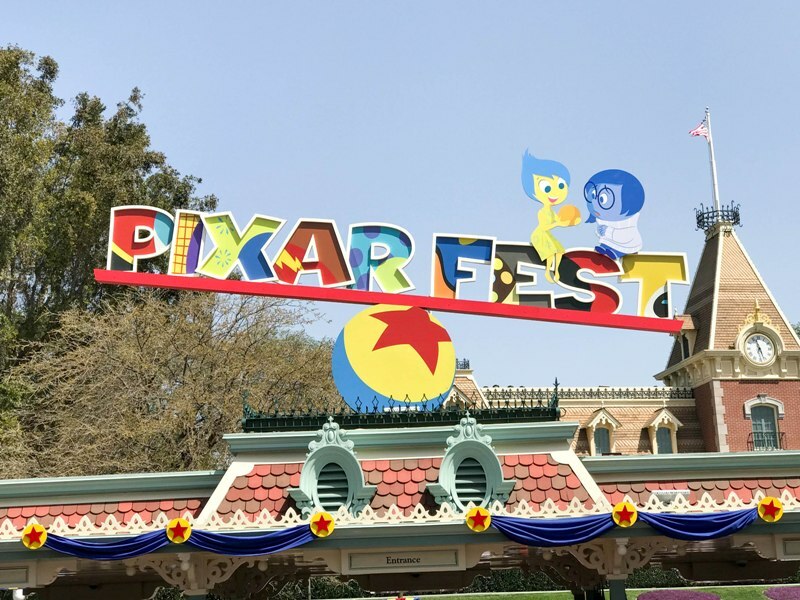 Pixar Fest is a celebration of Pixar’s movies and characters taking place at The Disneyland Resort from April 13, 2018 through September 3, 2018. 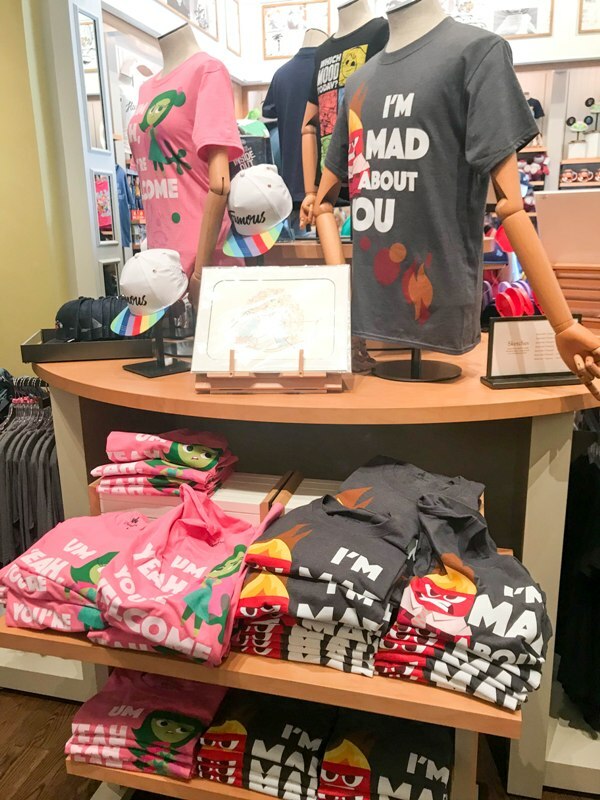 You’ll see Pixar’s iconic colors and characters all around the resort, including Downtown Disney! 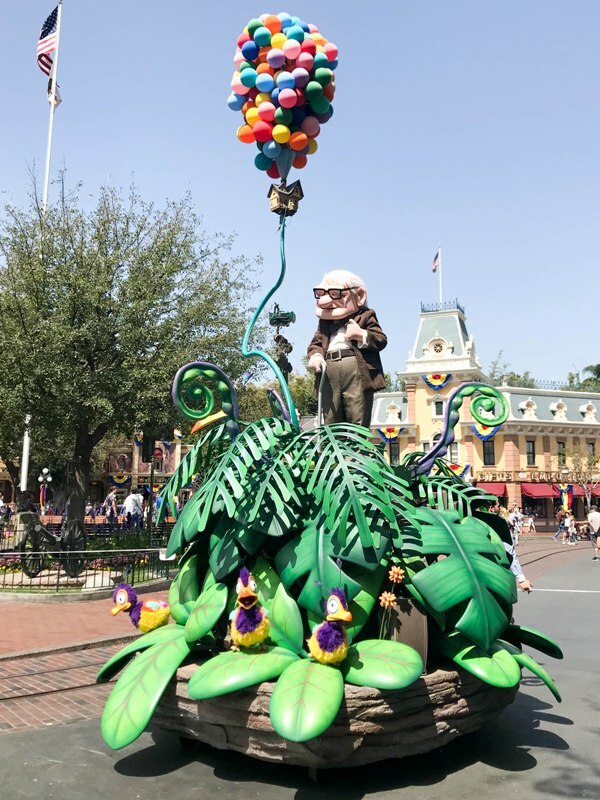 Pixar Play Parade – The popular Disney California Adventure parade moves over to Disneyland! 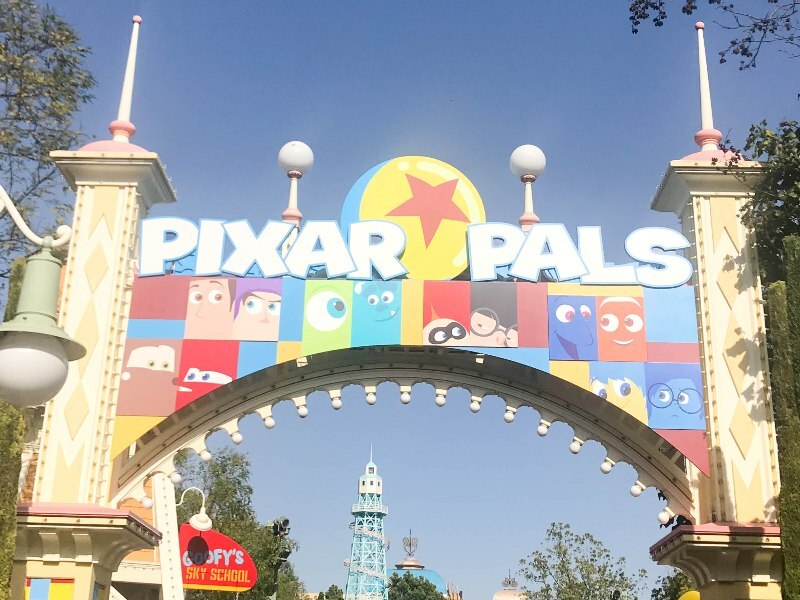 Paint the Night – the beloved evening parade makes its debut at Disney’s California Adventure with a new Incredibles float debuting sometime this summer. 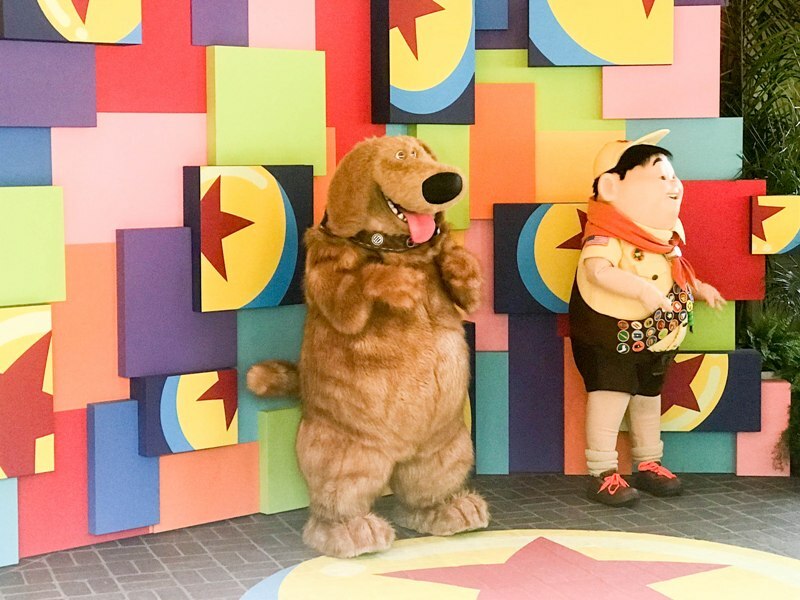 Pixar Pals – Meet and greet with your favorite Pixar characters in the Paradise Garden Grill area. 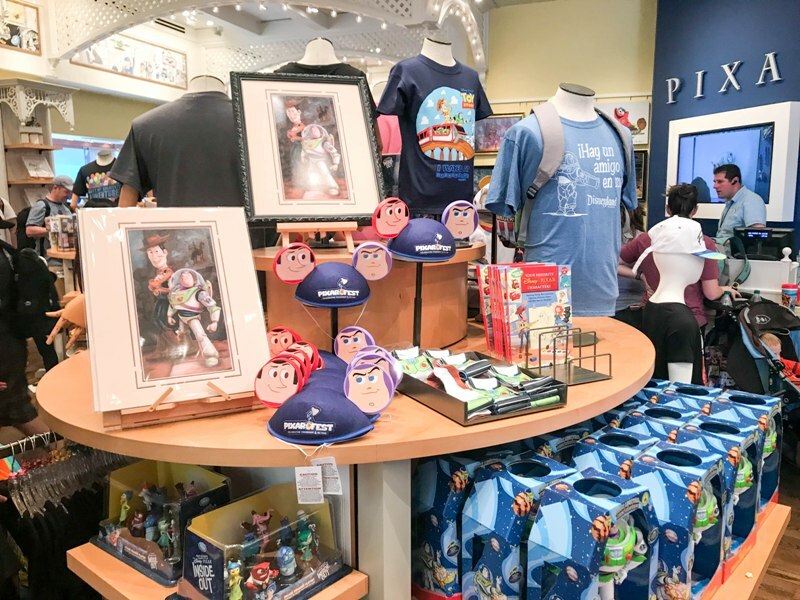 AP Corner – Located next to Boardwalk Pizza and Pasta across from Silly Symphony Swings. 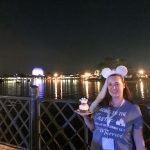 On Day 1 I watched the Together Forever fireworks show, and it was great! The Up house floating over the castle was magical. 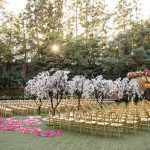 Expect big crowds for this show for the first couple of weeks. 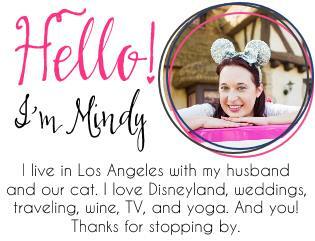 We will get into food in the next section but I want to mention there are several dining packages available for these shows. Carthay Circle Restaurant – 4-course dinner from a prix fixe menu. 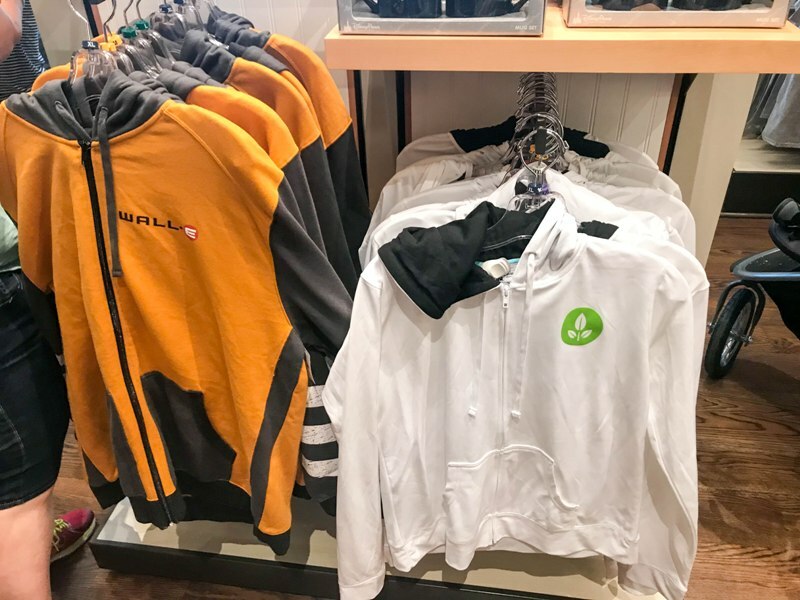 $99 for adults; $45 for kids. Wine Country Trattoria – Lunch or dinner 3-course meal from a prix fixe menu. 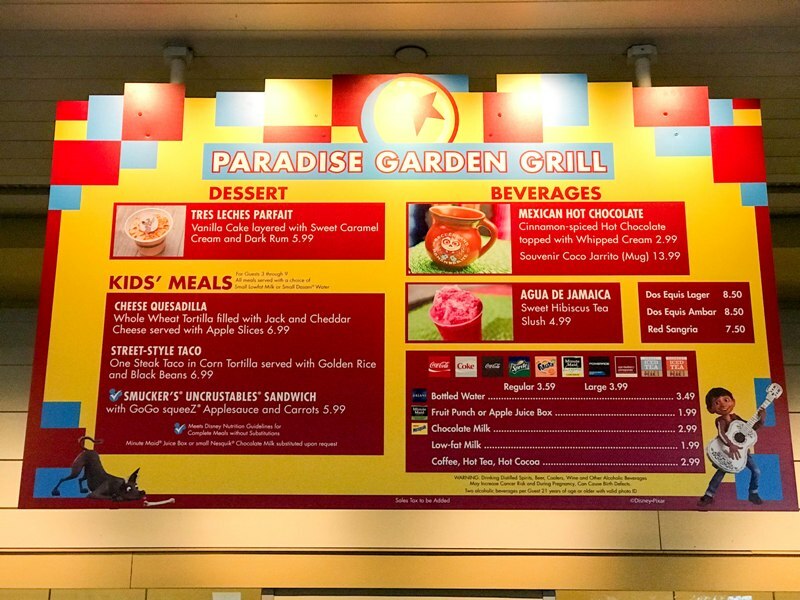 Lunch starts at $38 for adults, $21 for kids. 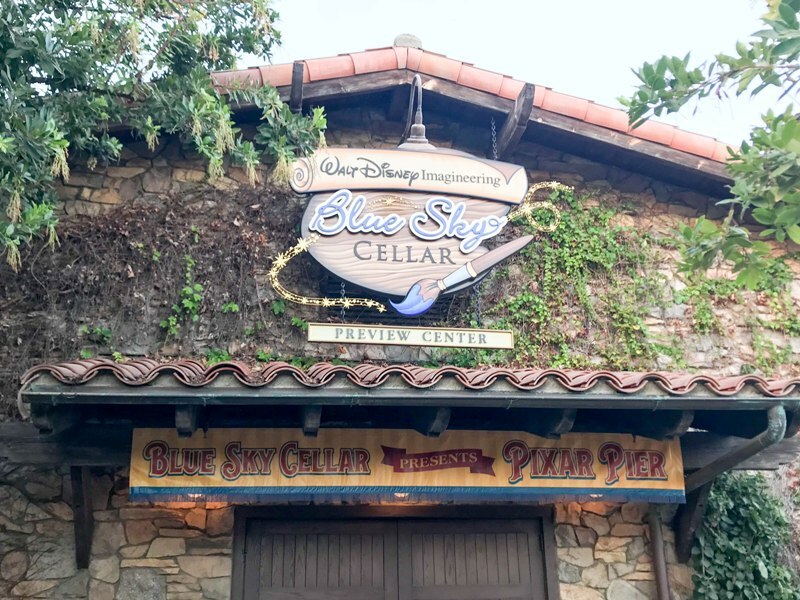 Dinner starts at $49 for adults, $25 for kids. 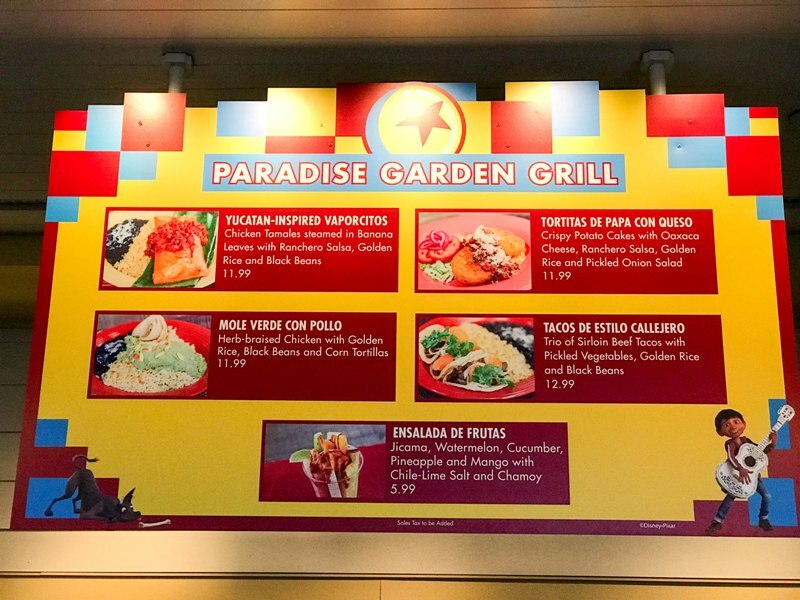 Pixar Play Parade Dining Package – A picnic-inspired meal at Plaza Inn which includes a FASTPASS for a special reserved viewing area. 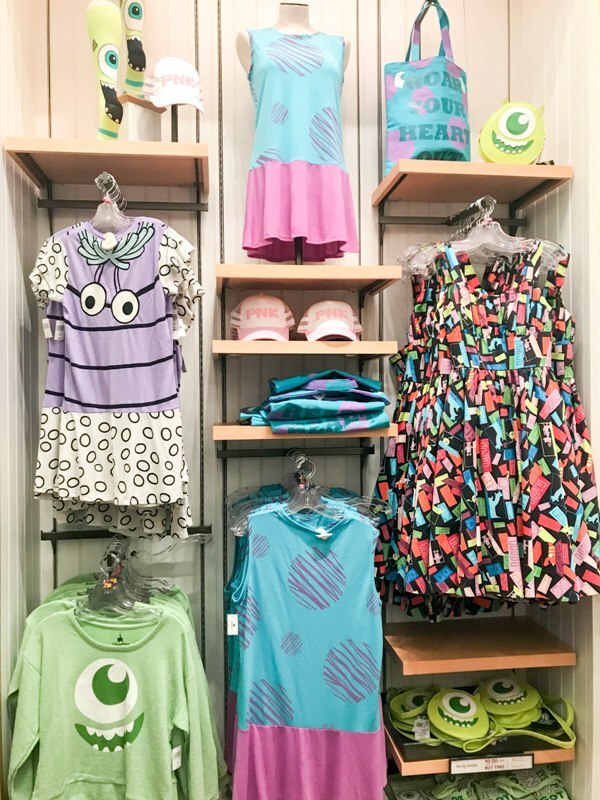 $40 for adults, $25 for kids. 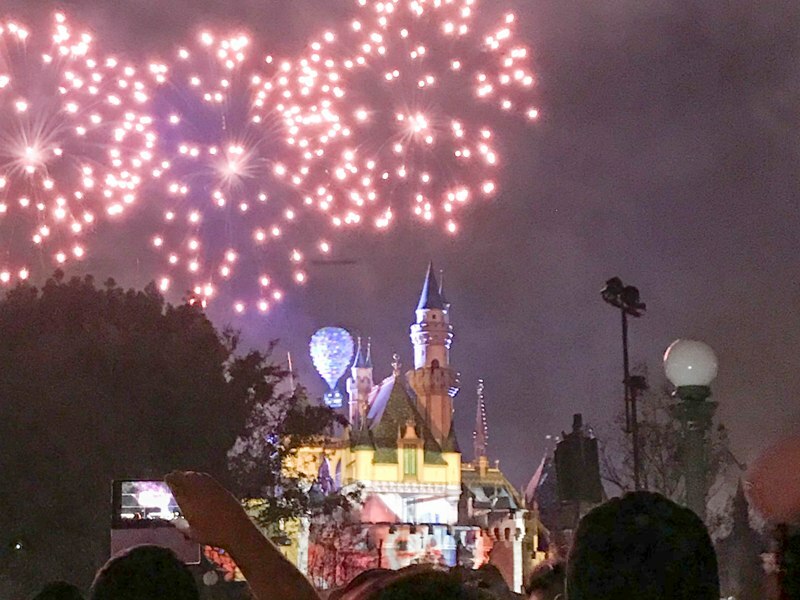 At this time there is no dining package available for Together Forever fireworks show. 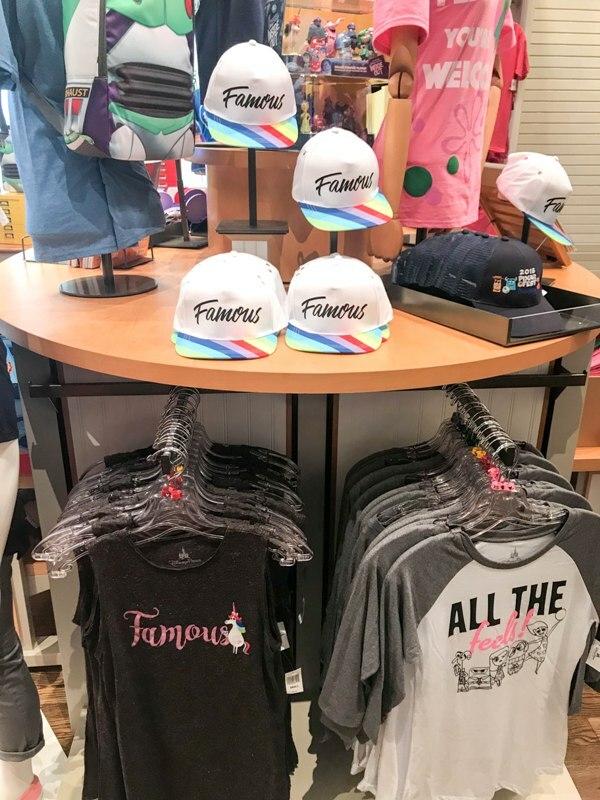 You can, however, do a Fantasmic! dining package and watch the fireworks from that area. Okay you guys, there is SO MUCH FOOD! I don’t even know how I’m going to manage to try everything before summer ends! 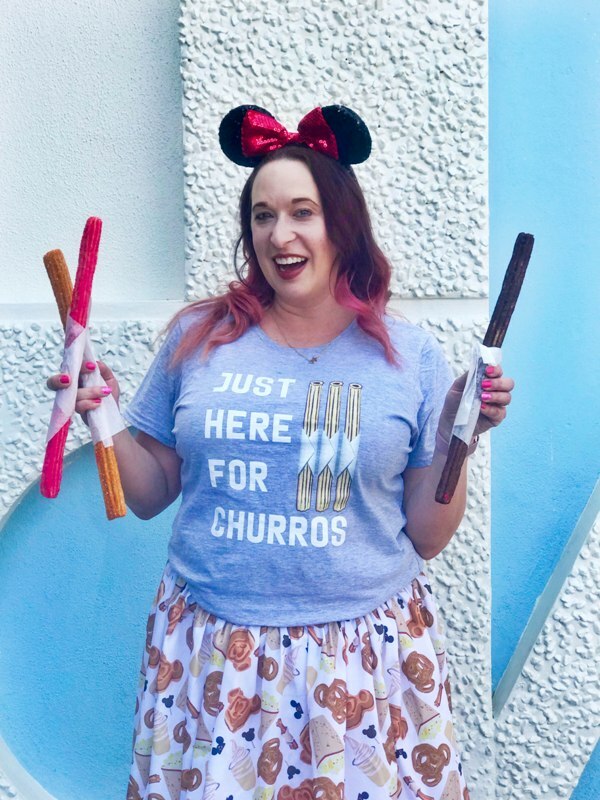 I was able to grab 3 out of 4 … I had read the Lemon Churro would be at the churro cart in front of Sleeping Beauty Castle but they still had the special Rose Gold churro. So I missed out on that one. The Strawberry Churro smells really amazing but I ended up giving that one to a friend. 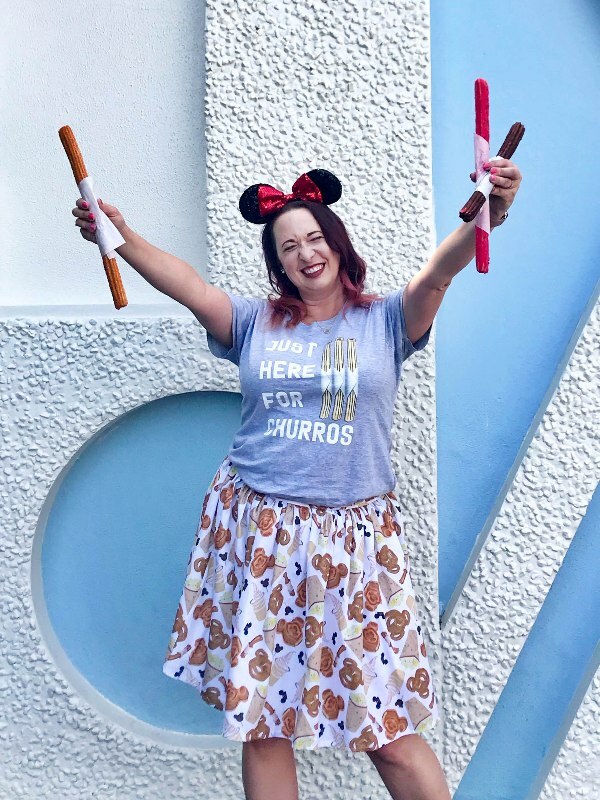 I ate the other two and liked the Cocoa Churro the best! 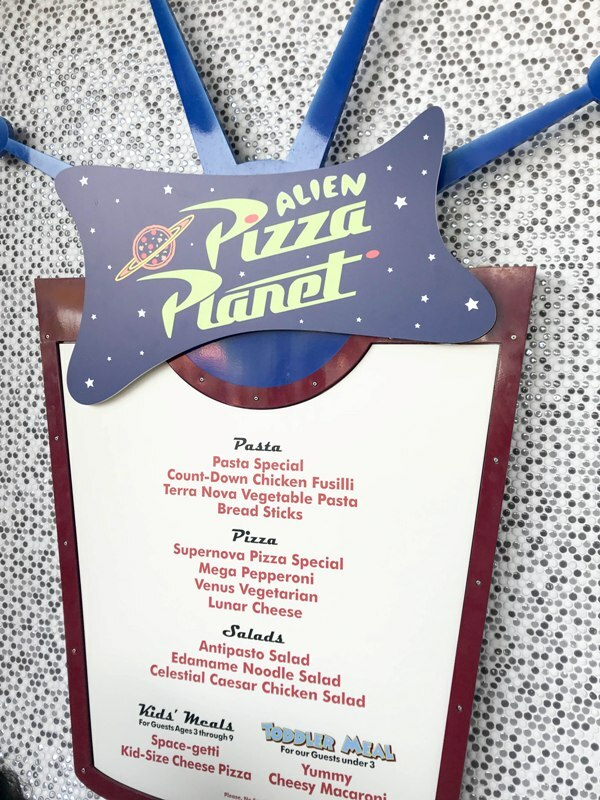 I also had lunch at Redd Rocket’s Pizza Port, which has been re-themed during Pixar Fest to Pizza Planet! 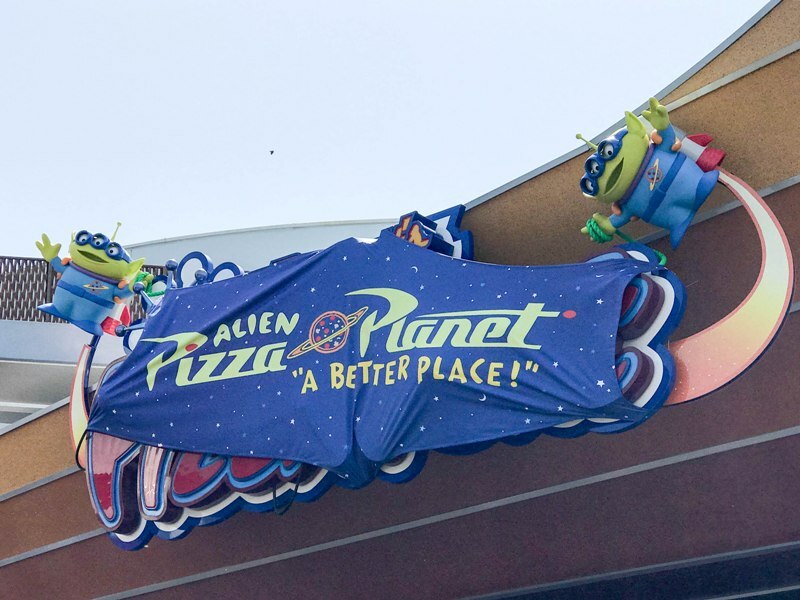 Lots of fun Little Green Men food items and decor to see. 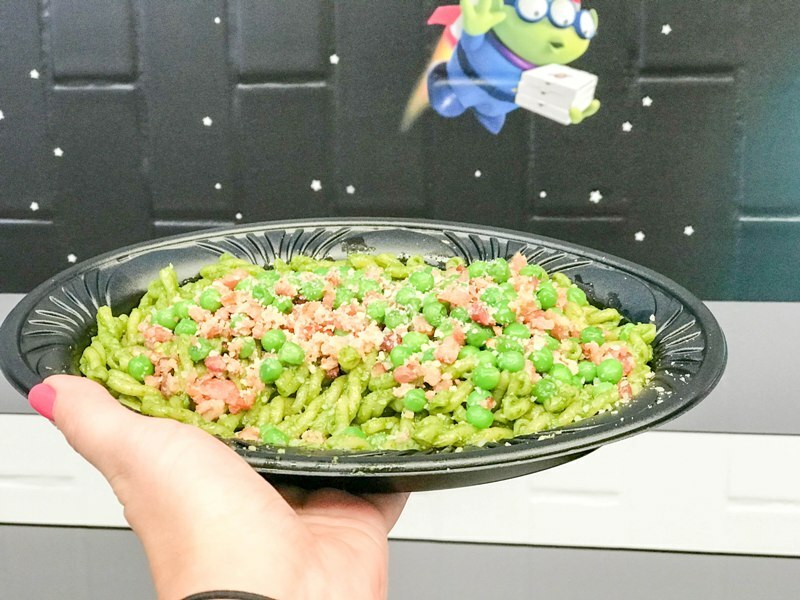 For my meal I had the Pesto Pasta (comes with peas, bacon, and Parmesan on top) and the Blackberry lime parfait. 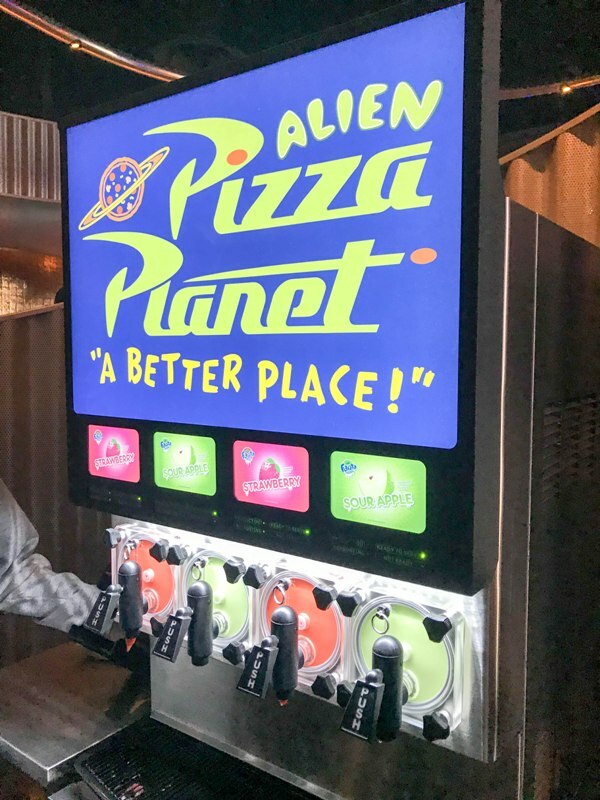 Both were so good! 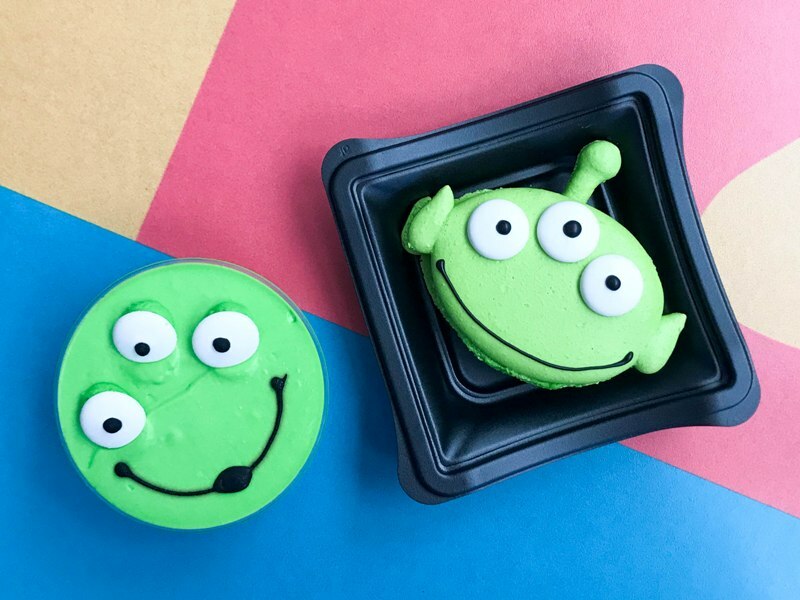 I also had a bite of my friend’s alien macaron, which was good. But I liked the parfait better! 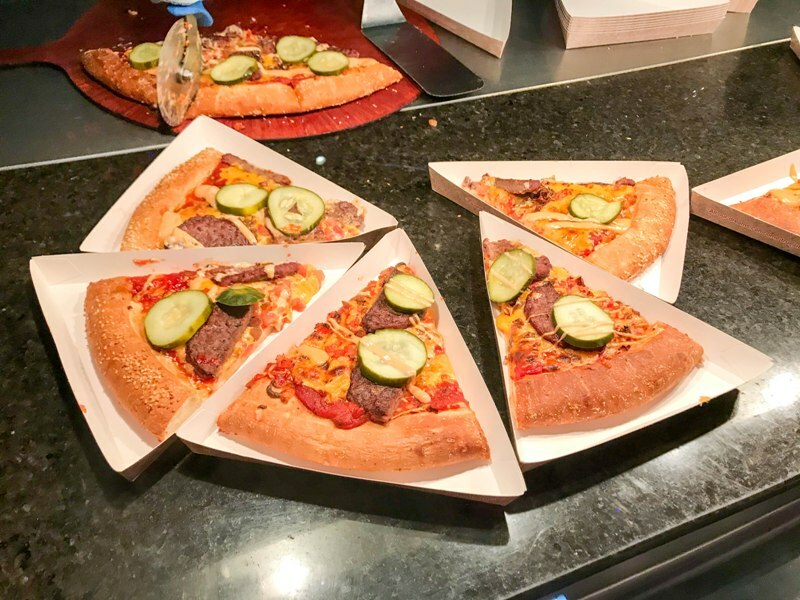 My friend had the cheeseburger pizza and said it was delicious so that’s on the list for next time. 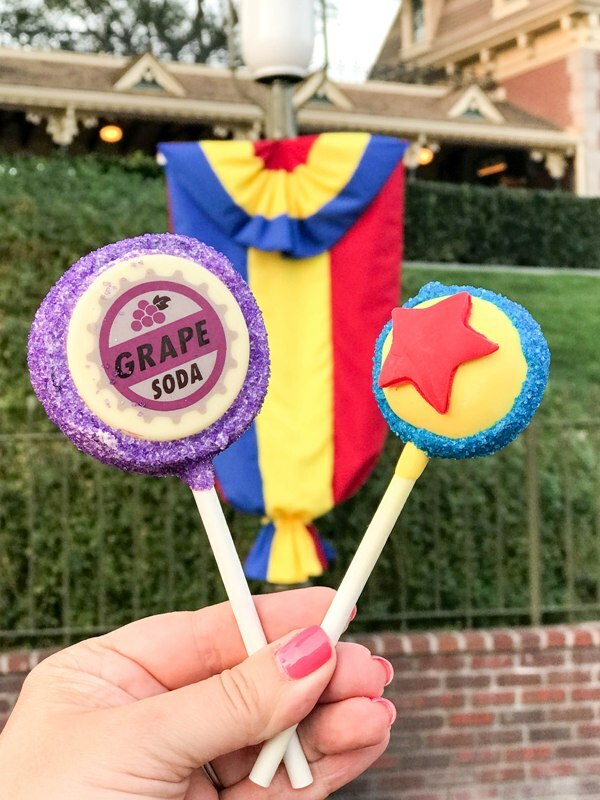 All food info from Disney Food Blog; I recommend saving their PDF list on your phone, it came in VERY handy! 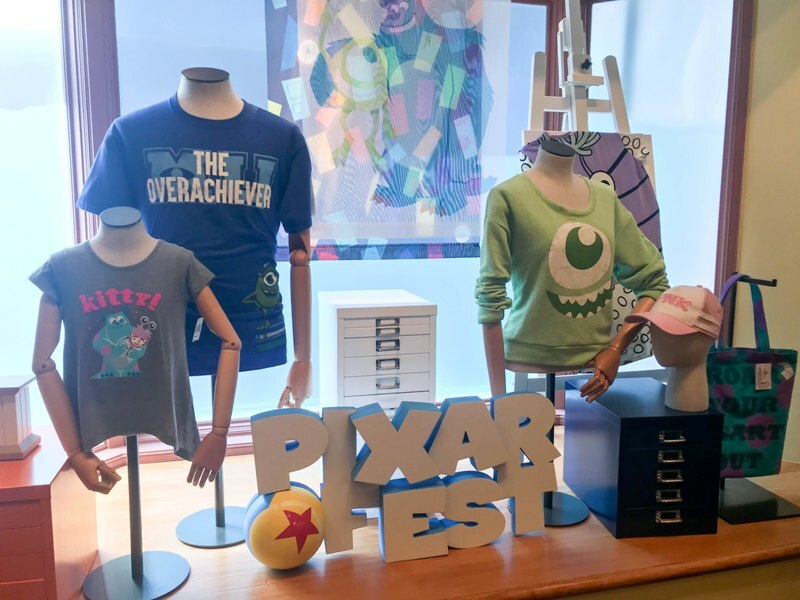 Tons of cute new Pixar merch is available for this event! 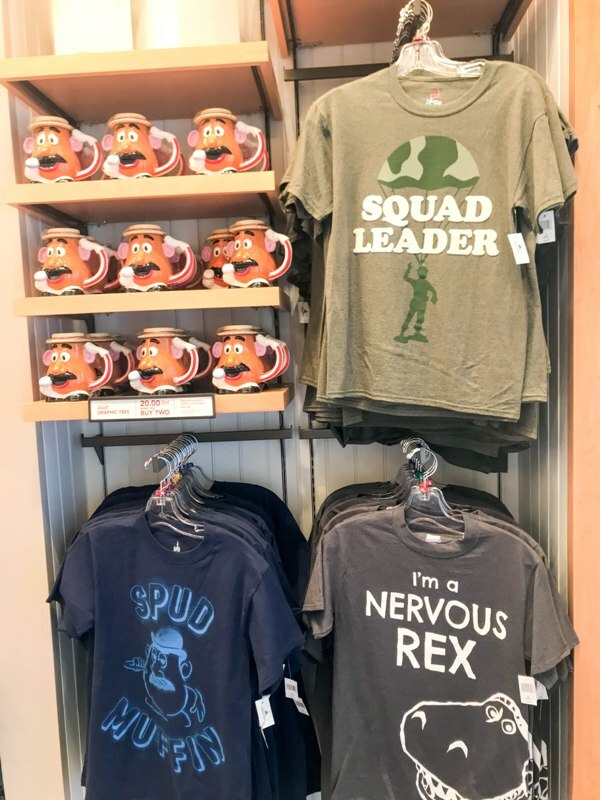 There is a special store set up at Disney’s California Adventure which features JUST Pixar merch. 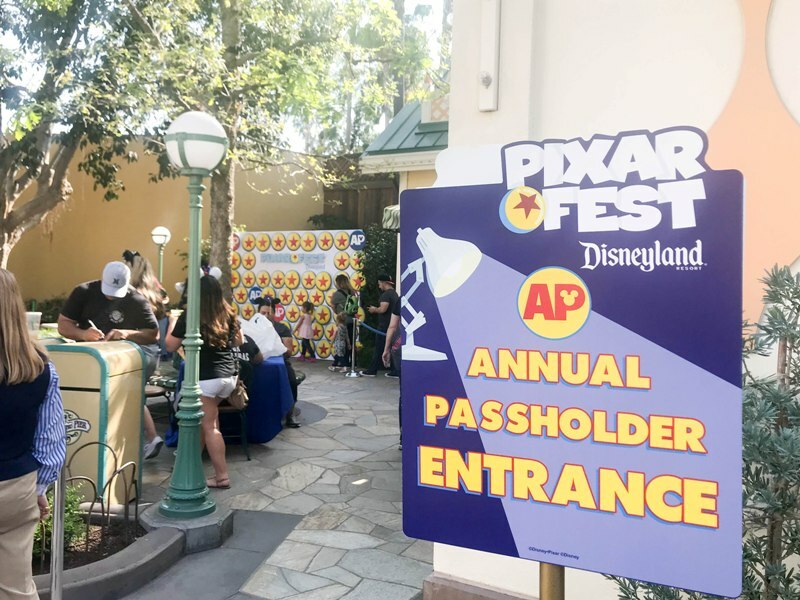 It’s at the entrance to Paradise/Pixar Pier across from Cove Bar/Lamplighter Lounge. 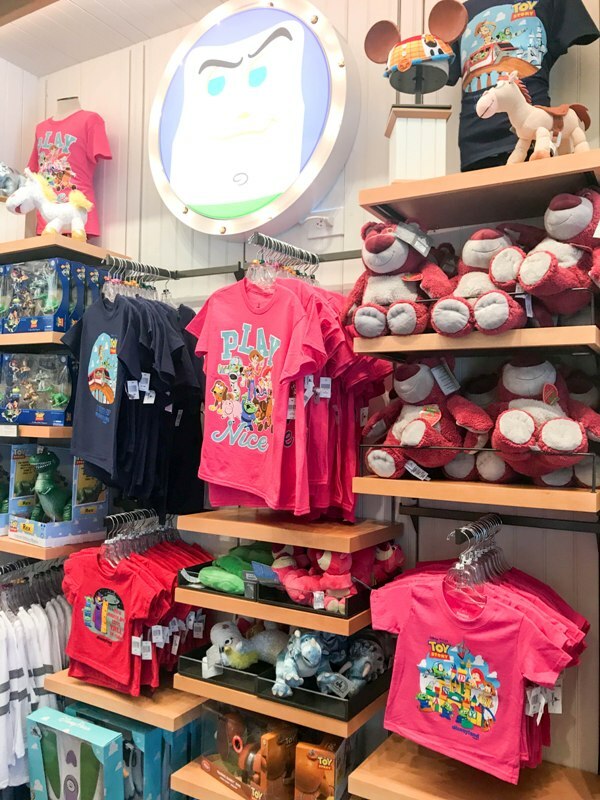 The new store is called Knick Knacks and it’s where Treasures in Paradise was located. 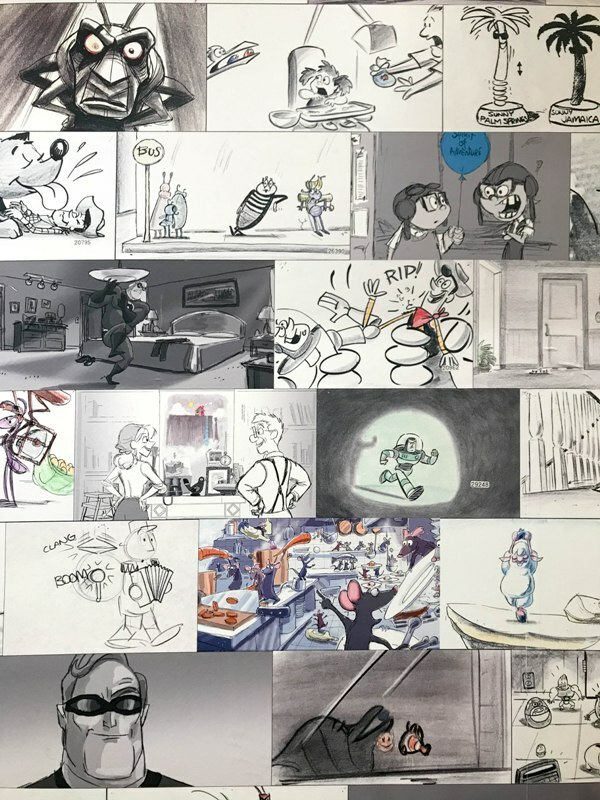 This shop also has a fun new wall – the Pixar Sketchbook wall! 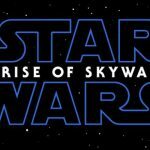 Get your ‘gram on! 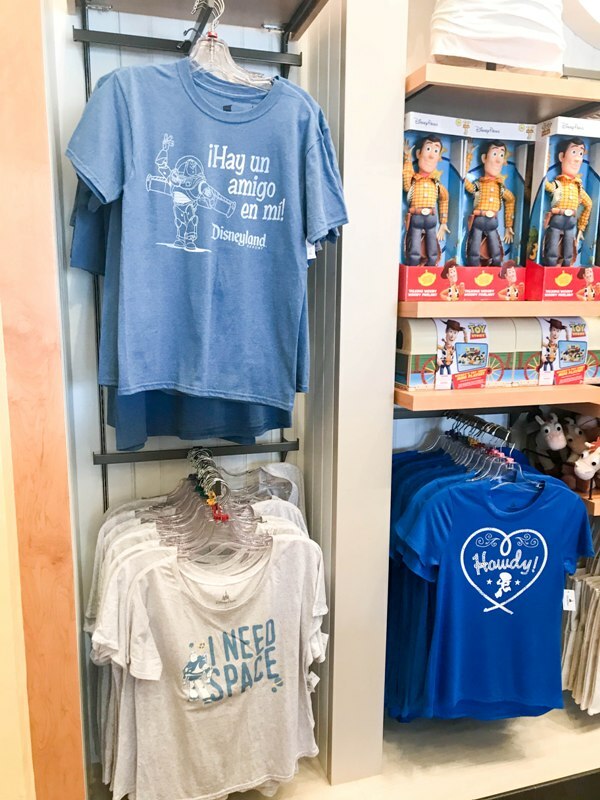 The store has most merch separated by movie so your favorites are easy to find. 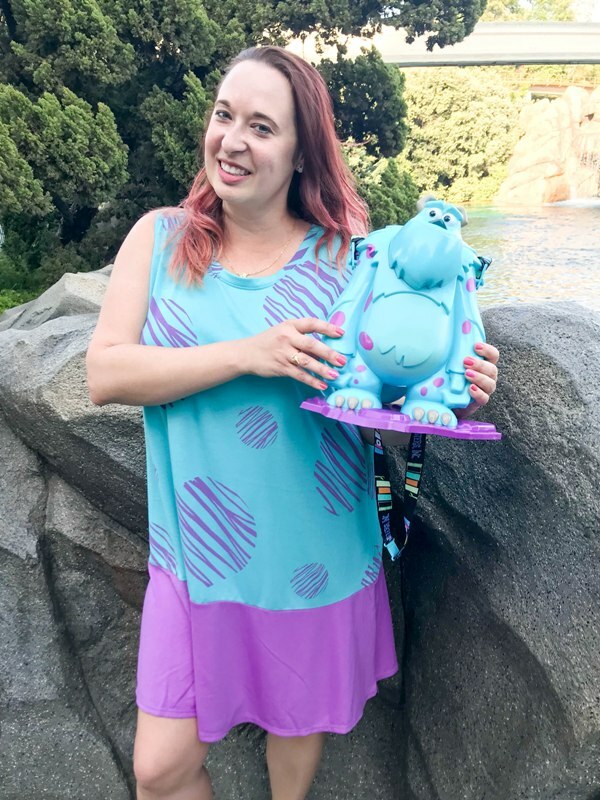 I picked up a cute Grape Soda necklace and Sully dress. I also am doing a giveaway for some Little Green Alien items on my Instagram so pop over there to enter! 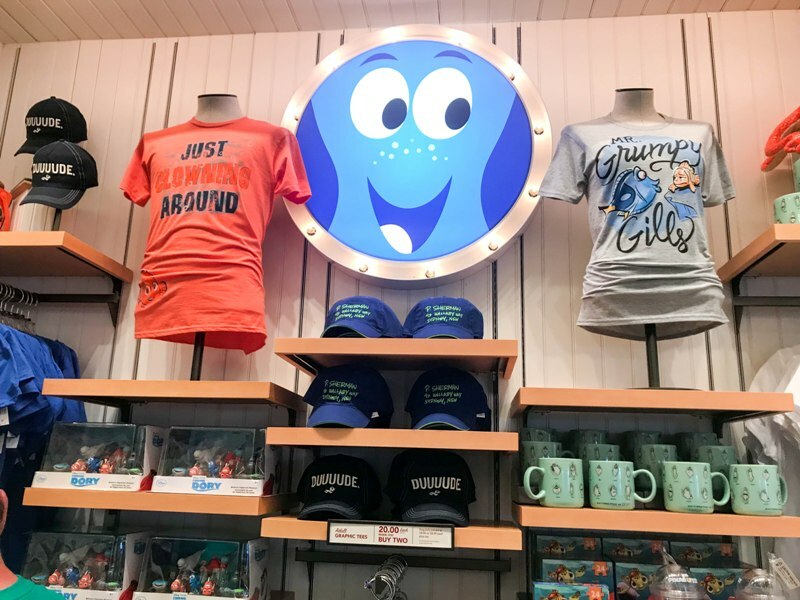 The most popular items are the Sully popcorn bucket (found at all popcorn carts in both parks) and the Mike sipper (found at select Quick Serve restaurants and drink carts in both parks). 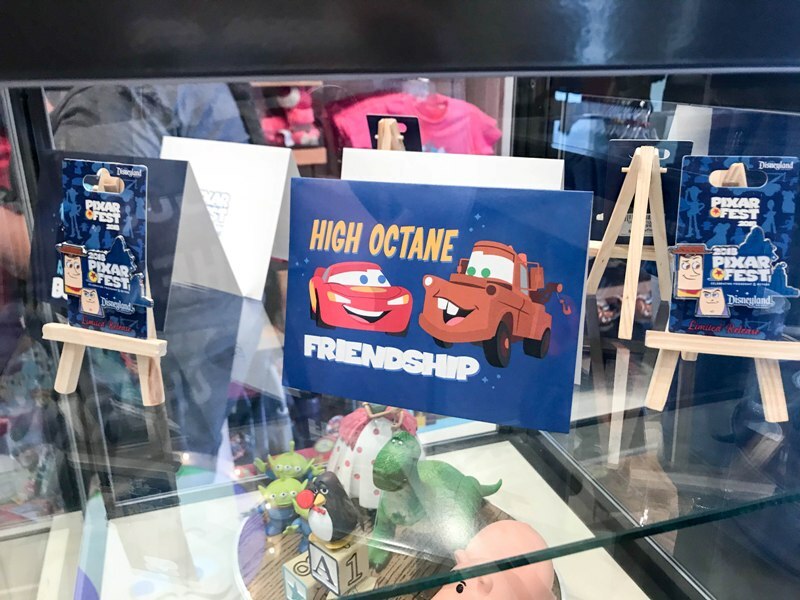 I wouldn’t be surprised if they both sold out very quickly. 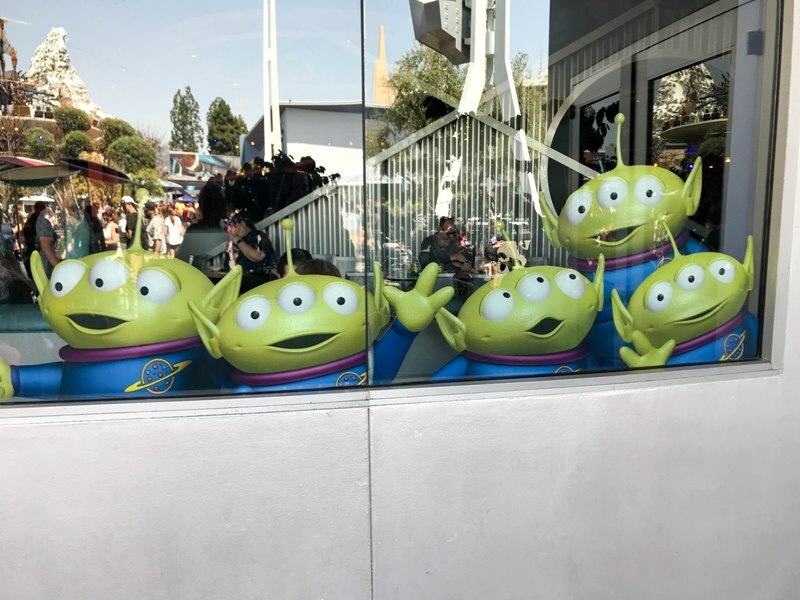 Annual Passholders can also purchase an exclusive item: The Little Green Alien popcorn bucket, although I didn’t spot any during the first weekend. 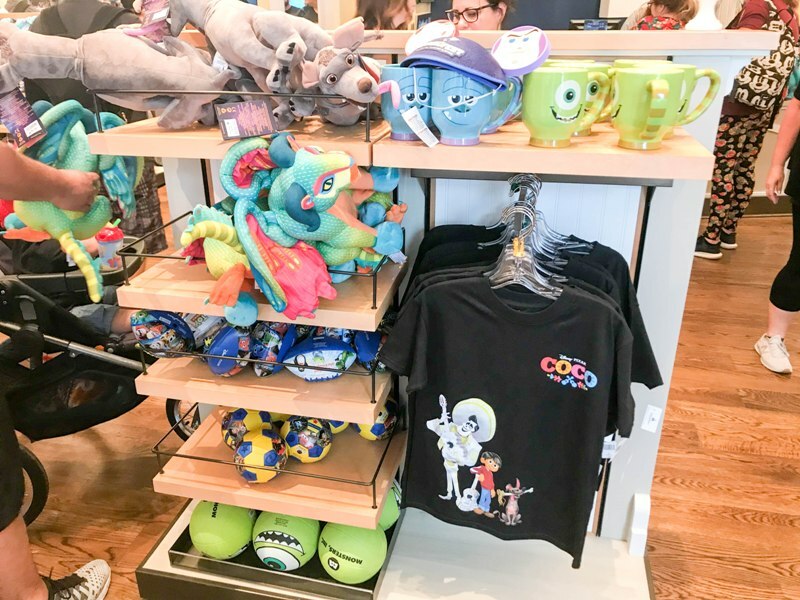 Another item I’m seeing popping up all over Instagram is the Coco Jaritas (mugs), found at Rancho del Zocalo in Disneyland and Paradise Garden Grill in Disney California Adventure. 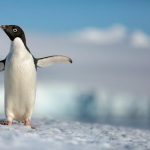 How to Tackle it All! 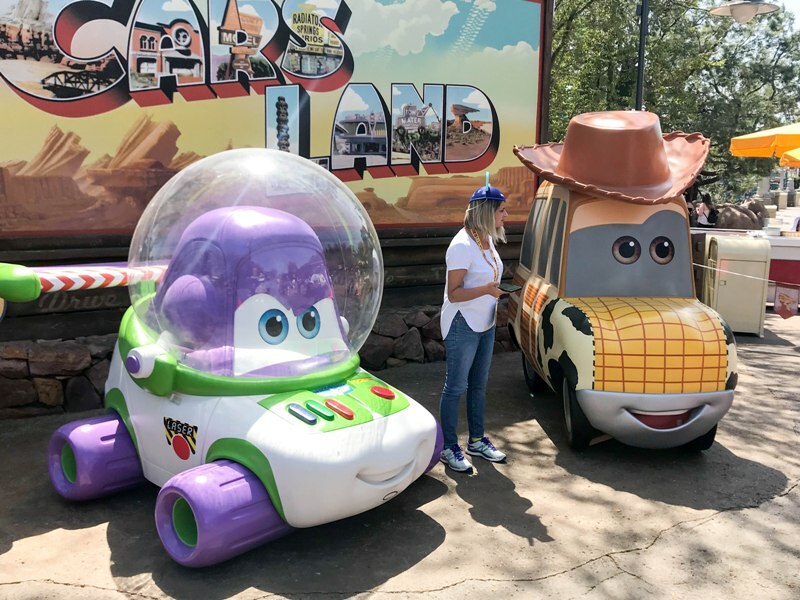 Arrive at opening and get in as many attractions as you can before lunch. 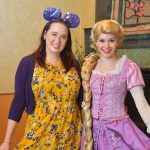 Do the Plaza Inn dining package for Pixar Play parade. 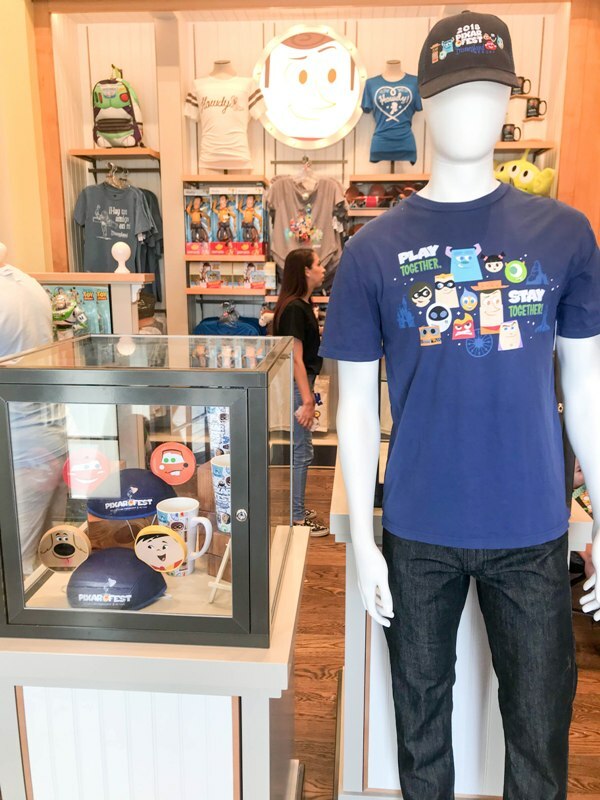 Go over to Disney California Adventure to shop for merch and meet characters. Dinner at Carnation Cafe or Cafe Orleans (make a reservation 60 days in advance). 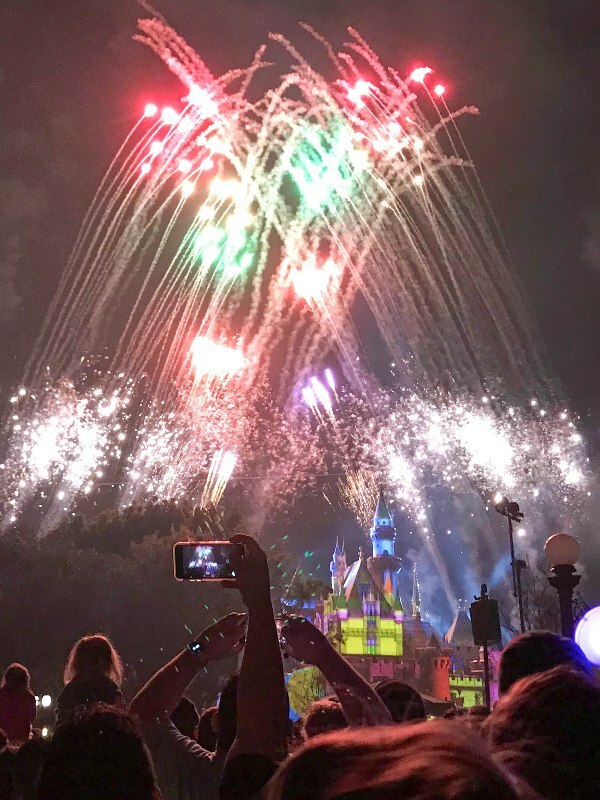 Grab a spot on Main Street for the fireworks. 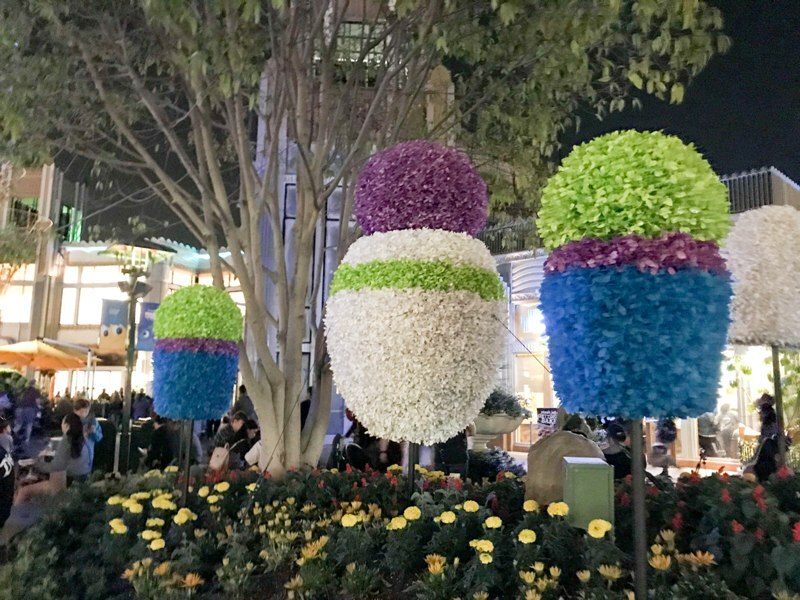 Run back to Disney California Adventure for Paint the Night. 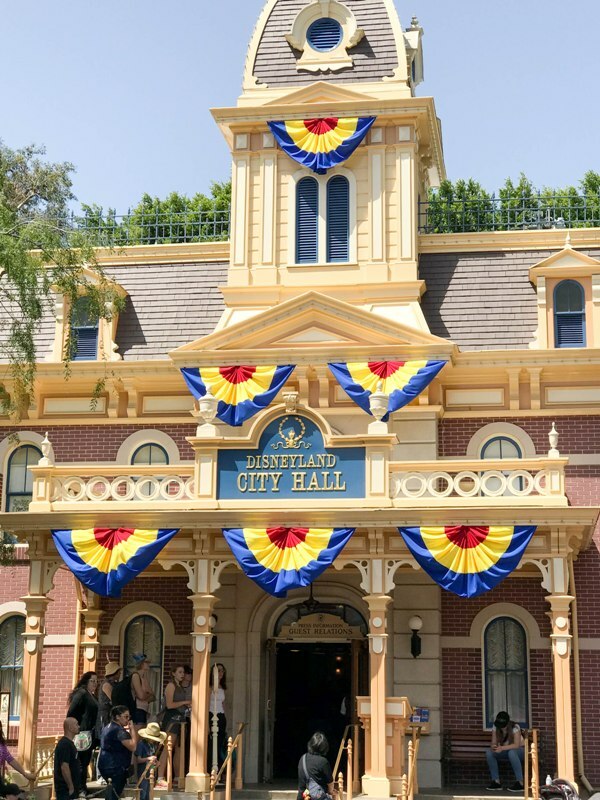 How to get DISCOUNT TICKETS to Disneyland! Right now with Get Away Today you can buy Adult tickets at the Kid’s price if you book before April 17th on 3-day or longer park hoppers. 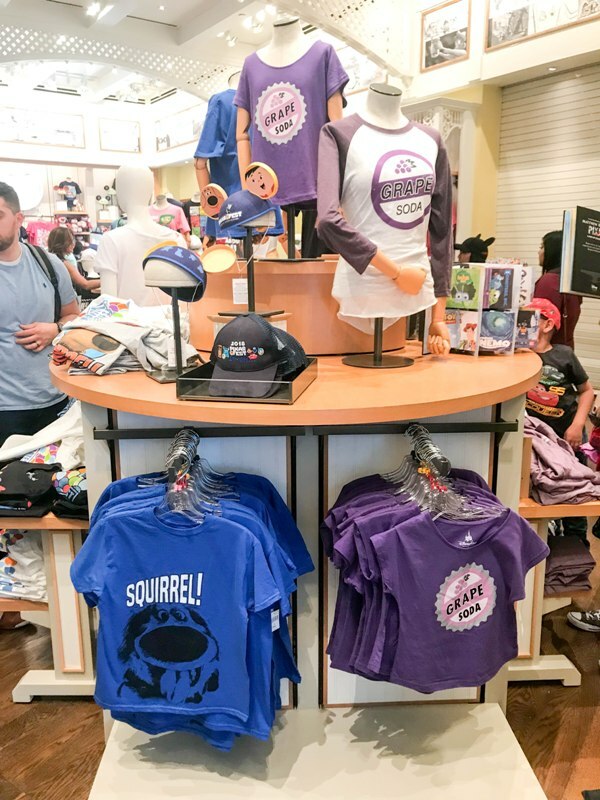 If that deal is no longer active, check the Get Away Today for the current prices! 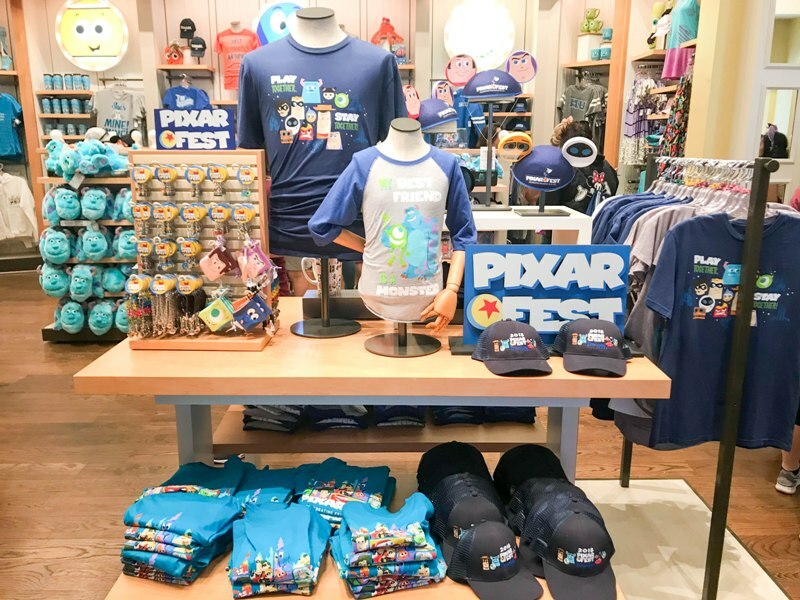 There’s so much to see and do and eat at Pixar Fest, you’re going to want to come back again and again! 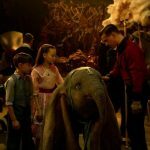 I can’t wait for my next visit!